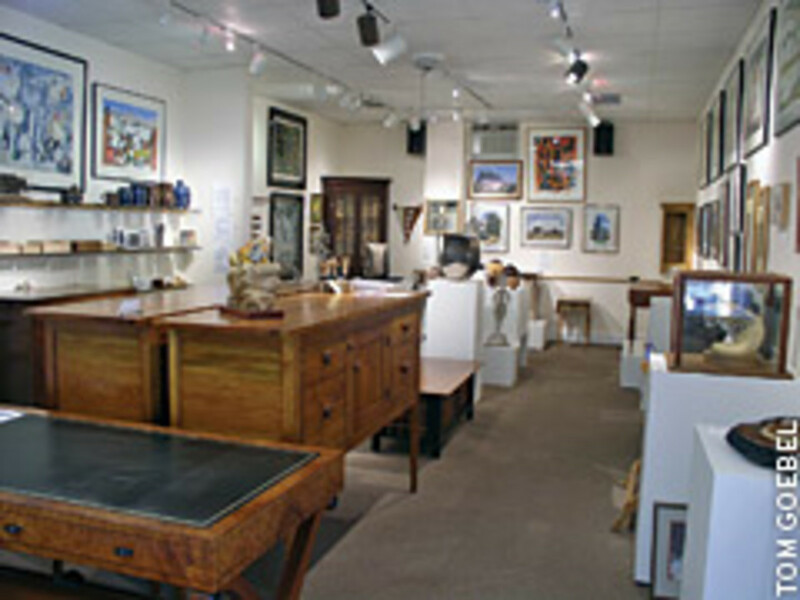 Visitors to Michael McDunn’s shop in Greenville, S.C., enter into a gallery space, where his work is displayed alongside the sculpture, paintings and pottery of other artists. The serene setting surprises those expecting to see the sawdust flying. The gallery is a breath of fresh air with a feng shui feel — uncluttered, serene, and geometrically pleasing to the eye. 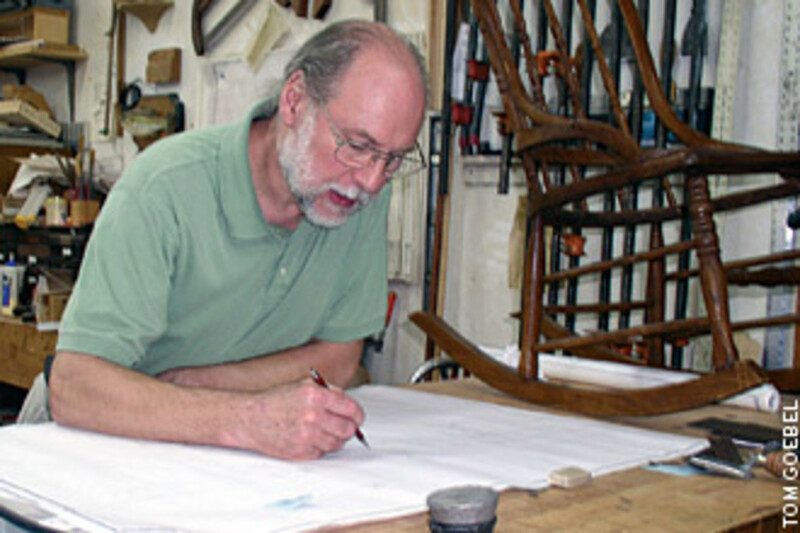 It is a testament to McDunn’s visual awareness and a validation of his keen business acumen. The works of art show against a palette of skillfully illuminated off-white walls composing the 900-sq.-ft. room. A red Dutch door on the left is the entrance to McDunn’s office and in front of that is a display case containing woodworking merchandise, including hand tools, turning instruments, chisels, stains and finishing products. McDunn’s Biedermeier-style desk stands like a trophy up front and is a lead-in to the eclectic art collection. It is modeled after the solid, unpretentious, functional pieces common in Germany during the 1800s and is representative of his flawless, intricate woodworking techniques. Amboyna burl veneer, ebony pulls, inlays, and leather top tooled with 22-caret gold set it apart from common manufactured furniture. inlays. 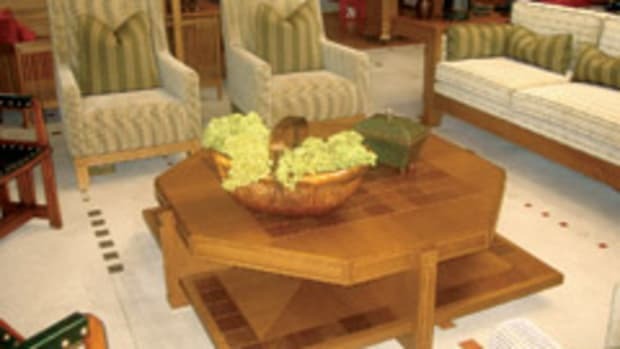 A chestnut collectables cabinet and drop leaf table are down the line, one hand-rubbed with oil and the other coated with clear lacquer, which are McDunn’s typical methods for finishing his custom pieces. 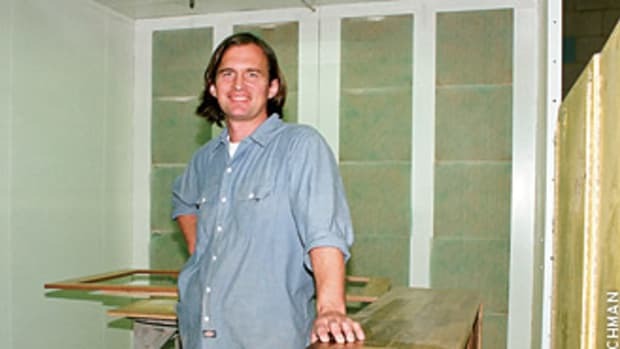 McDunn’s weaponry sales represent about 1 percent of his total business. McDunn’s gallery is always included in “First Fridays,” a monthly tour of some of Greenville’s art venues. The event gives patrons and art enthusiasts a chance to view a wide range of media along a four-mile corridor that spans Main Street. The genesis of McDunn’s own work is through a solid red door at the front of the gallery, where the mood switches to a more active gear. The 3,300-sq.-ft. shop is brimming with equipment. 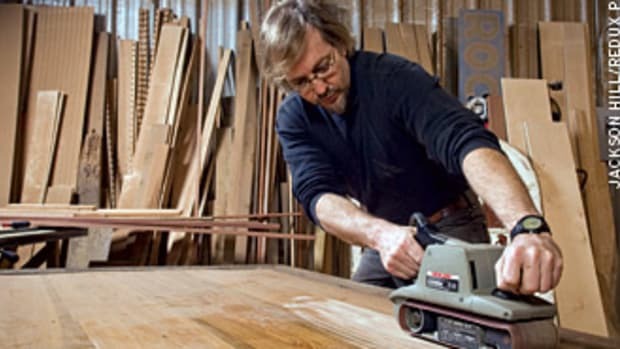 In fact, one gets the distinct impression that McDunn is a man who likes tools and has been in the business long enough to amass a shop full of them. 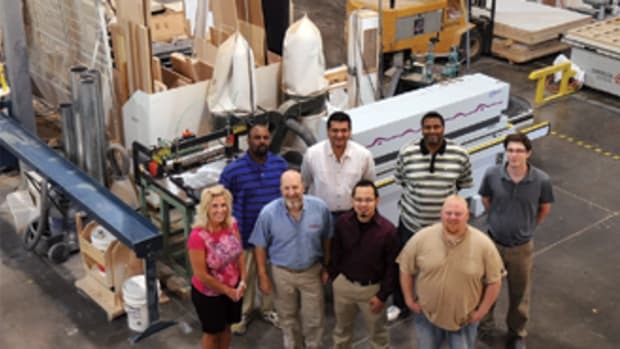 The list includes three shapers, three table saws, four lathes, two joiners, two band saws, a spindle sander and JDS Multi-Router. 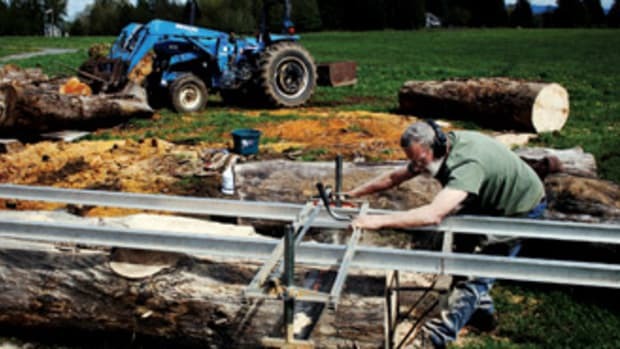 A noisy, dust-spewing 395 Husqvarna Alaskan two-man chain saw has been indispensable for tackling McDunn’s Cedar of Lebanon project. The rare tree, which grew not far from his shop, had seen its last days. McDunn gladly took most of the trunk when it was offered. It has a tantalizing aroma, which may be why ancient Egyptians burned it during ceremonies to induce tranquility. He has used some to make communion boxes for hospitalized church members, a cross, and a highly decorated ceremonial mace, or staff. There is always a variety of projects on the schedule, amounting to a four-month backlog. 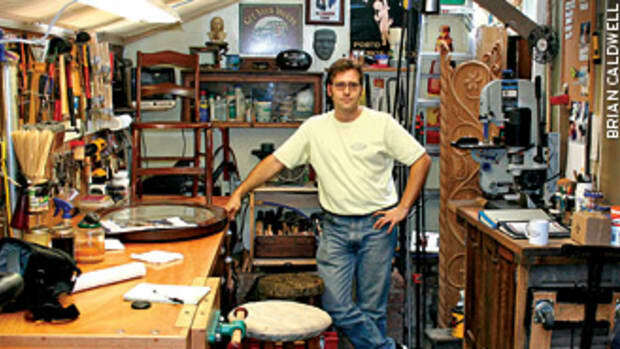 About 70 percent of McDunn’s work is designing and crafting one-of-a-kind, custom pieces and the rest is antique restoration. Presently, he is working on a conference table for the Fine Arts Center’s new building for students gifted in the arts in Greenville. The top will feature veneers in a sunburst configuration, plus an intricate art inlay designed by McDunn’s part-time employee of eight years, Asher Parris, a former student of Bob Jones University’s art program. McDunn relies often on Parris for artistic renderings and lauds his innate talent. For projects of this dimension, McDunn renders the plans the old-fashioned way at the drawing board, and then discusses them with his employees for a plan of execution. 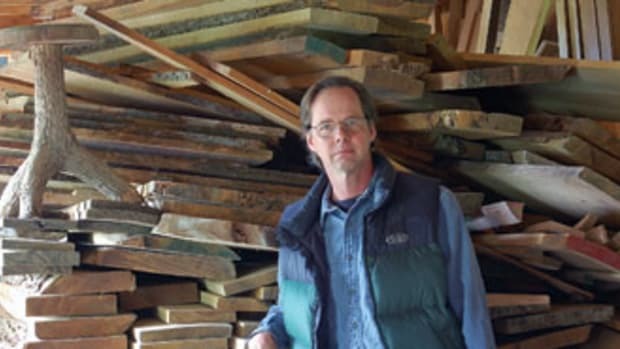 Matt Clubb, one of his full-time employees who has been with him for almost two years, is a graduate of James Krenov’s Fine Woodworking Program at the College of the Redwoods in California. He is well-trained to handle the challenging jobs with McDunn’s supervision. Growing up, McDunn didn’t know what he wanted to do with his life. 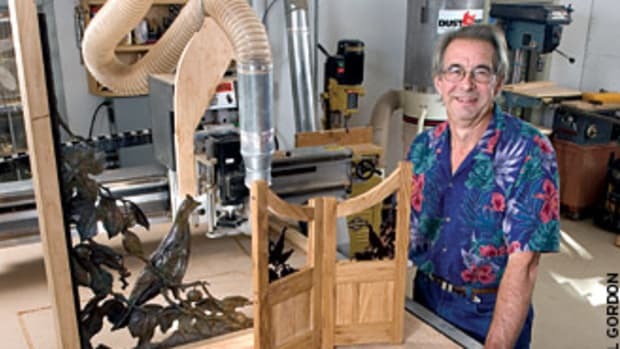 Woodworking as a career had never crossed his mind, although he did build dollhouse furniture for his sisters, carved a bit as a Boy Scout and took industrial arts courses in high school. He was born 54 years ago in Germany where his dad (a machinist and gunsmith) was stationed in the Army. The family transferred to Massachusetts and eventually moved to Pennsylvania, which was McDunn’s jumping-off point. When he turned 19, he packed up and struck out on his own. He headed for Texas, because he was told he could probably find a job there. For a while, he overhauled engines at a truck repair shop. 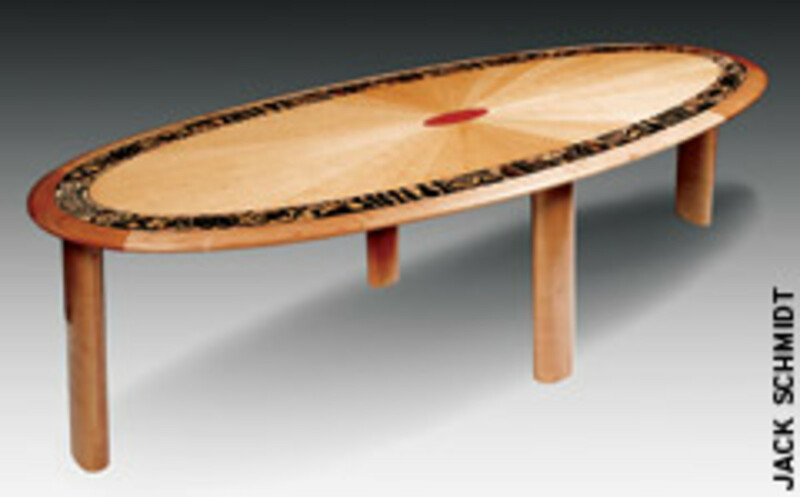 During this time he met Don Haskell, a good friend to this day, who reignited his interest in carving. His love for woodworking began to emerge, but it didn’t pay the bills. To make more money to live and to fuel his hobby, he bought a tool belt and hammer and went into construction. Within a year, his new career came to a halt when he crushed his foot in an accident and was laid off. He found himself in a vicious cycle, trying to find the right place to practice his craft. In a five-year span he bounced from one place to another, renting space in five different locations — in a carport, a machine shop at a defunct Air Force base, the basement of his home, an old tool-sharpening building, and in a warehouse he shared with his only competitor in town. 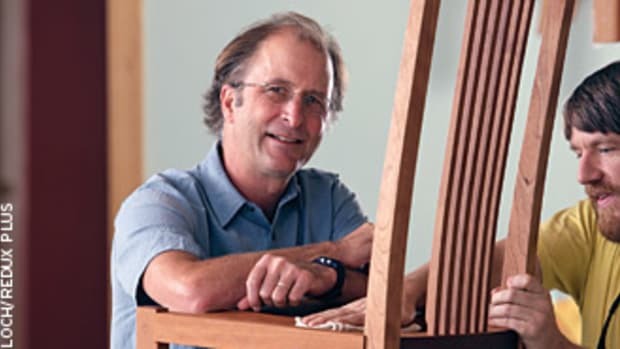 “Then, in 1989, I found the perfect building, took out a mortgage and moved in.” He proudly recalls his first major project after starting his business — a solid padauk (a red/dark purple South American wood) conference table for an architecture firm, a contact through his work at the museum. Even with his total involvement, he contends that “the work I do evolved and took on a life of its own without orchestration from me. 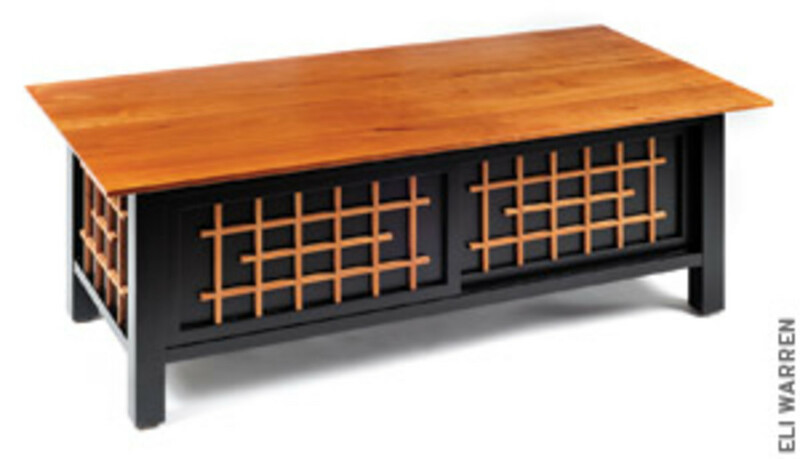 Everything seems to have fallen into place to keep me firmly entrenched in woodworking.” His success may be due partly to his Zen-like philosophy of living day-to-day and assimilating every experience that comes his way. Consequently, over the years he has self-educated himself and learned intuitively by watching and doing. 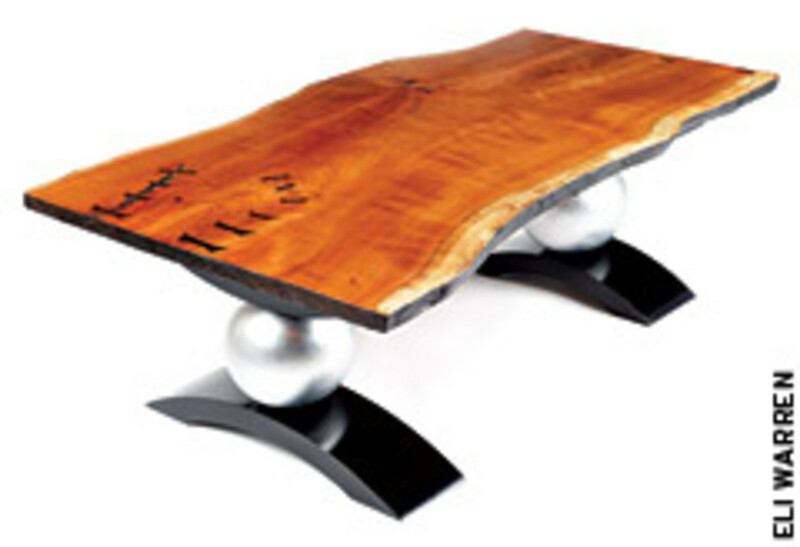 Ironically, it is McDunn’s consistent demand for quality that has won him exciting and unusual commissions. He is well-known for his work on the renovation of St. Mary’s Catholic Church, a local historic landmark. For three months, he built niches and sconces for religious icons as well as white oak gothic-style kneelers, refinished much of the alter, and gold-leafed metal crosses and wooden angels. It was a job that generated several more in the five-figure category. Word-of-mouth advertising, being in the right place at the right time, and extensive networking have won him many coveted contracts. Other techniques such as mailing brochures to interior decorators and setting up a Web site have also contributed to his name recognition. There are exceptions. Every year he exhibits several pieces at Artisphere, a high-end show for artisans representing every media. It is held in the Falls Park area of Greenville in a three-day period in mid-April. The event draws a big crowd and gives McDunn a chance to get his name out to prospective clients. Part of its success lies in the fact that Greenville, a city of approximately 60,000, is a cultured community and many residents support the arts.